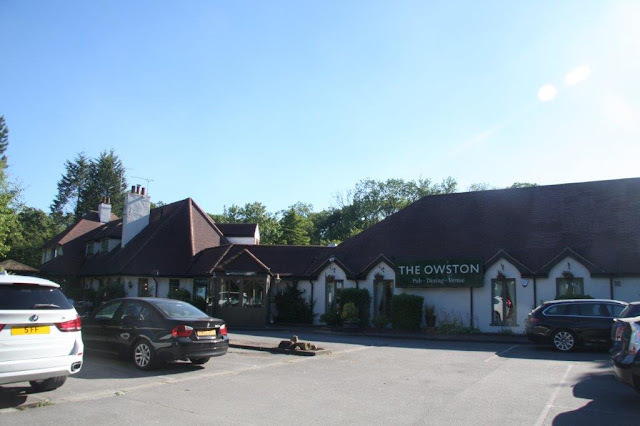 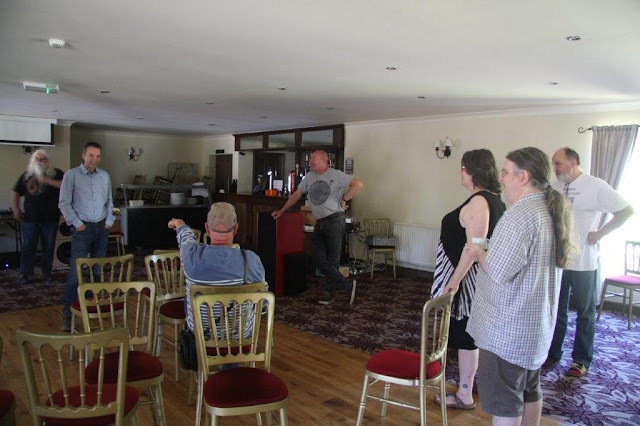 A whole year has passed since the last Owston meet (and nearly a year since my last blog, which speaks volumes for my lack of personal progress...) Unlike last year's miserable weather this year we had clear blue skies and barely a drop of rain in a month. 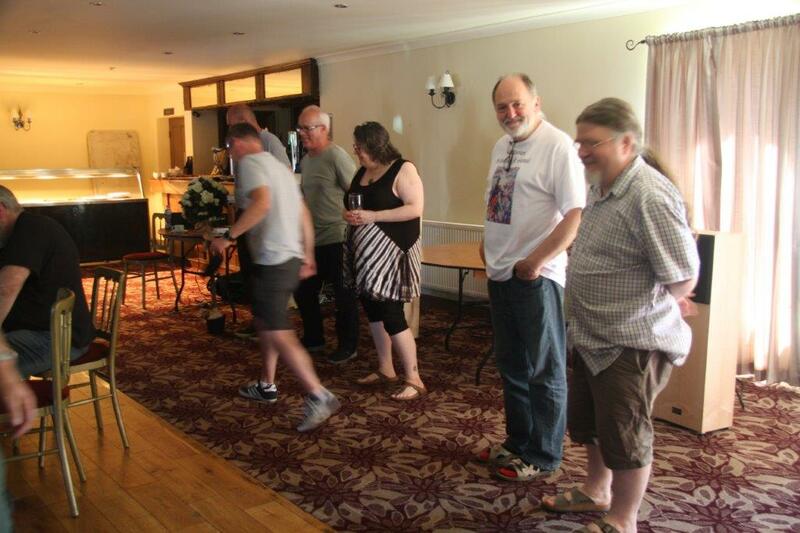 We were a little down on numbers this year but still a decent turnout, and a couple of new faces. After lots of chat Steve got us underway. 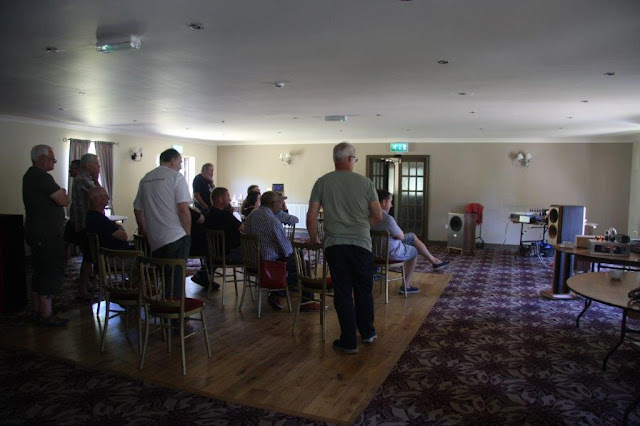 First away was Steve C. The room is a shocker for photography, especially as all the lights were off, but with strong sunlight flooding in through the windows. 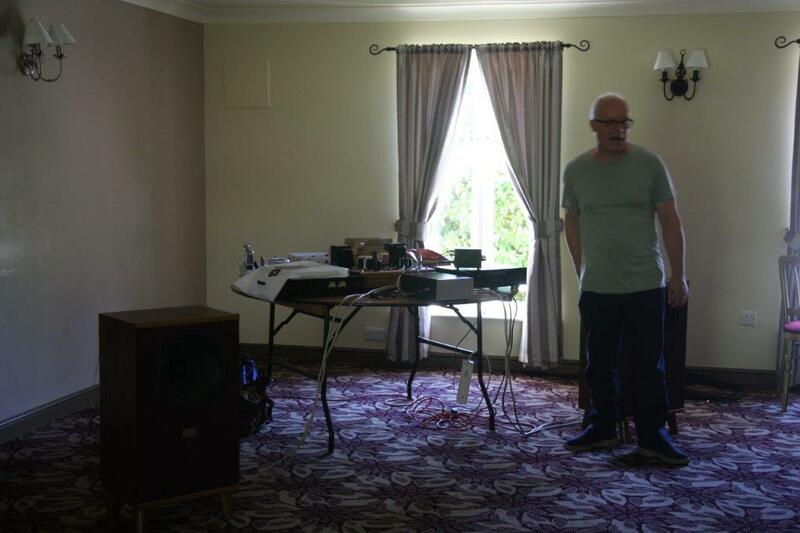 Not a great photo of Steve introducing is system. 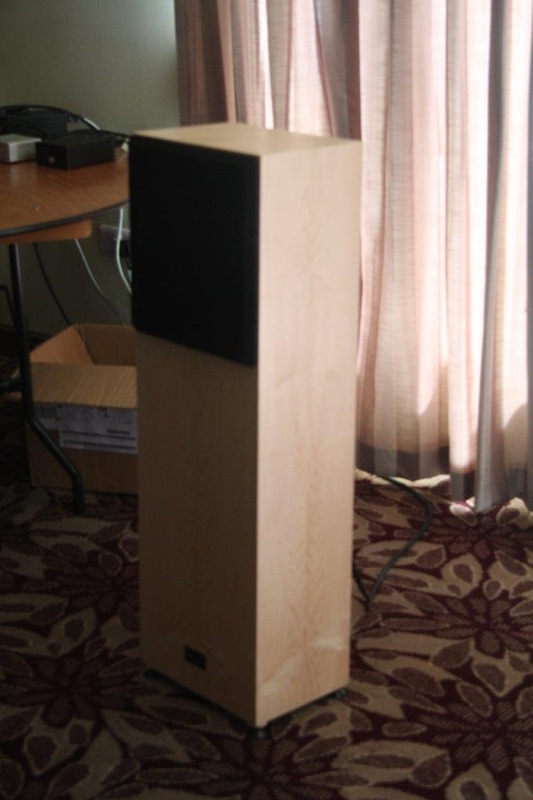 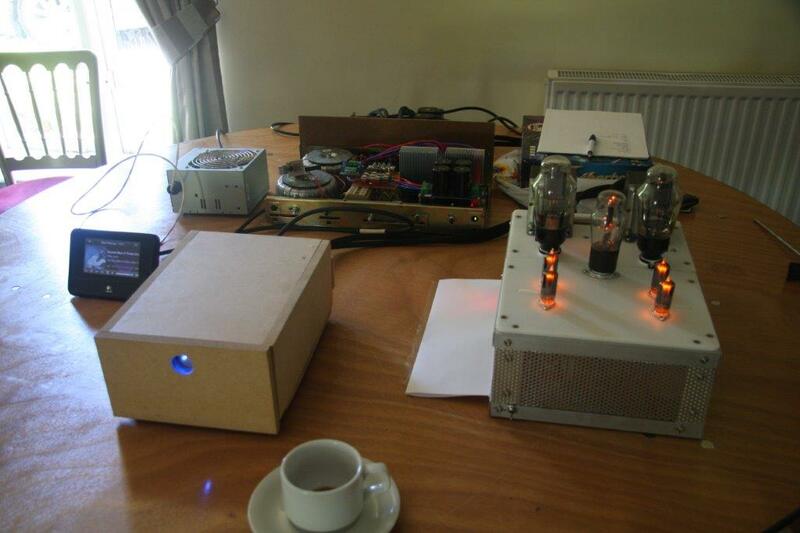 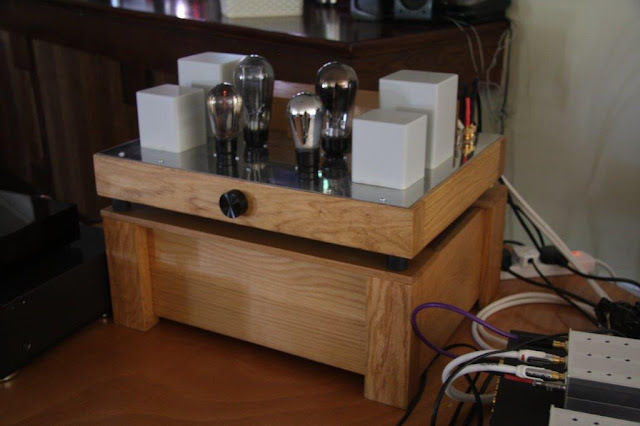 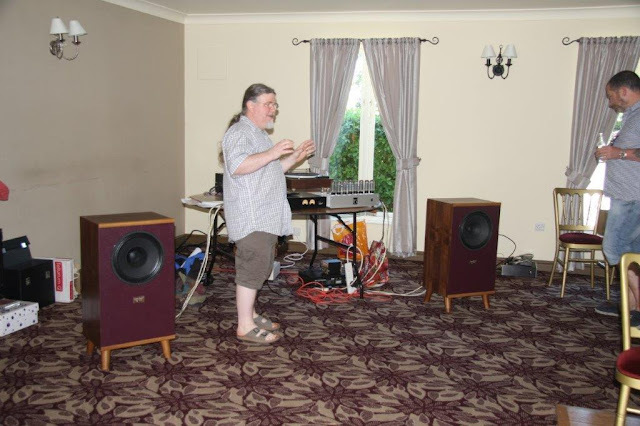 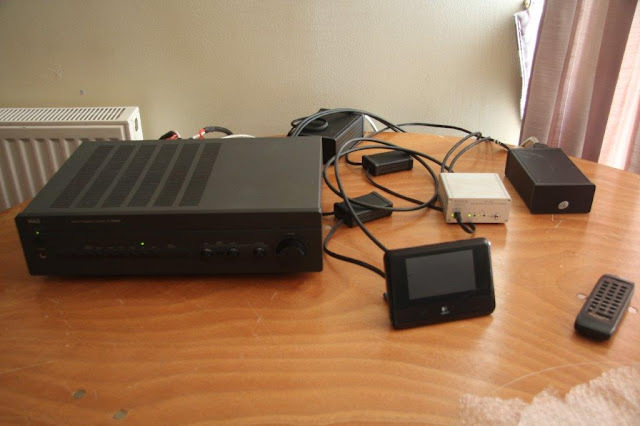 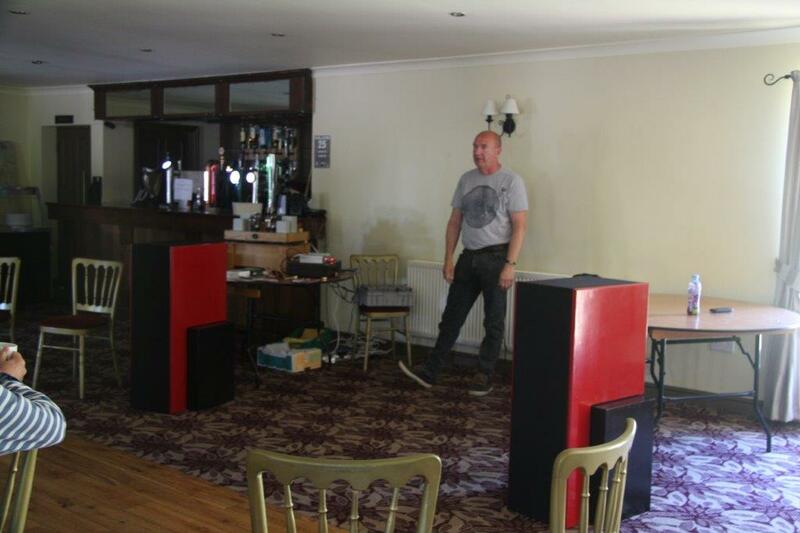 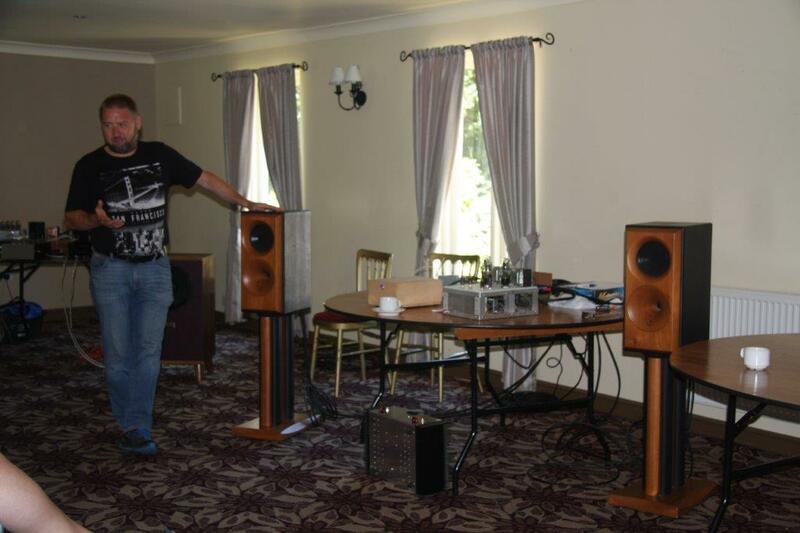 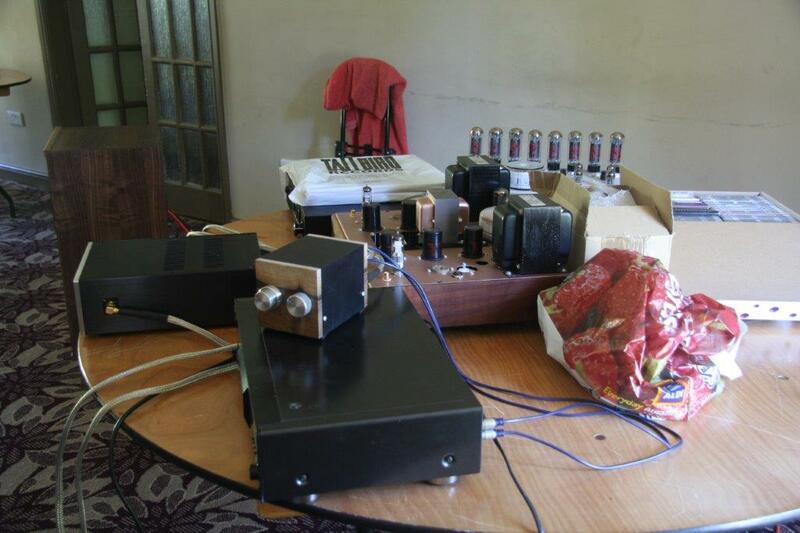 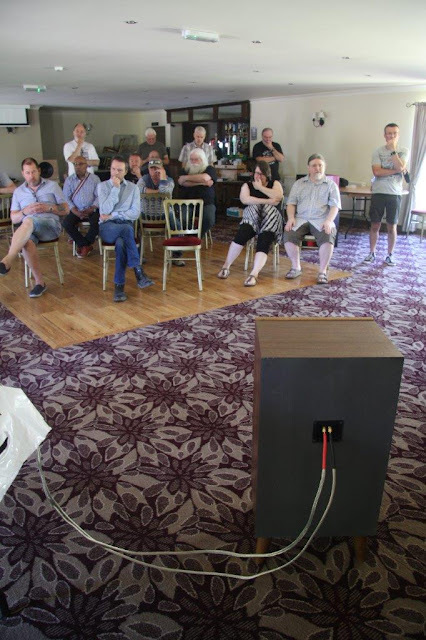 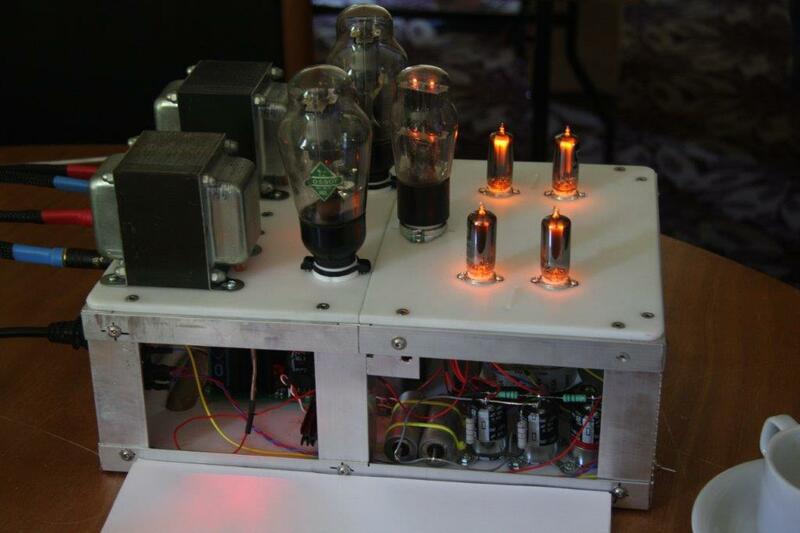 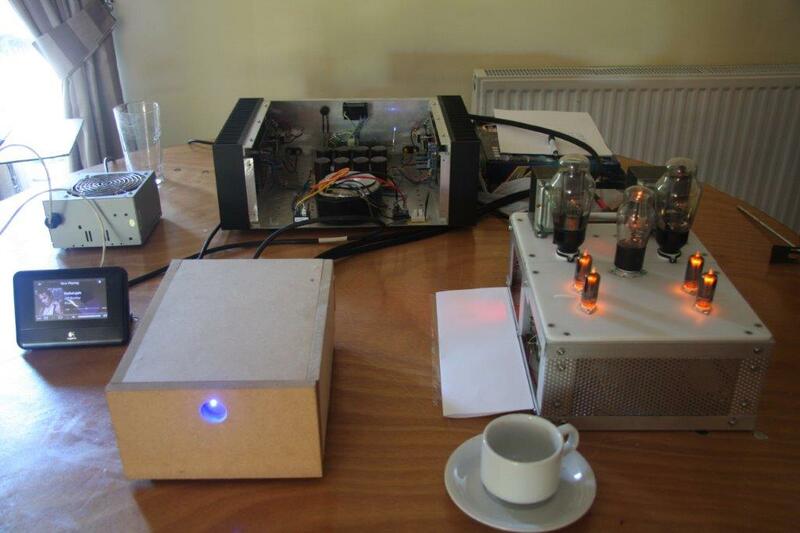 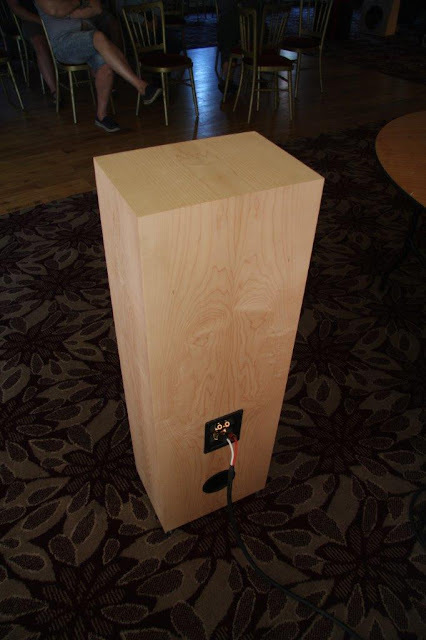 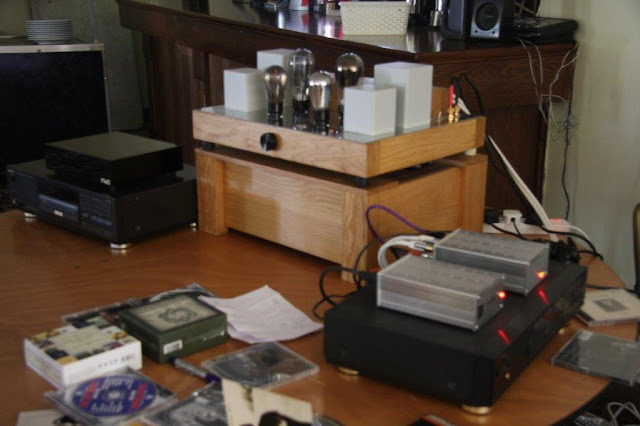 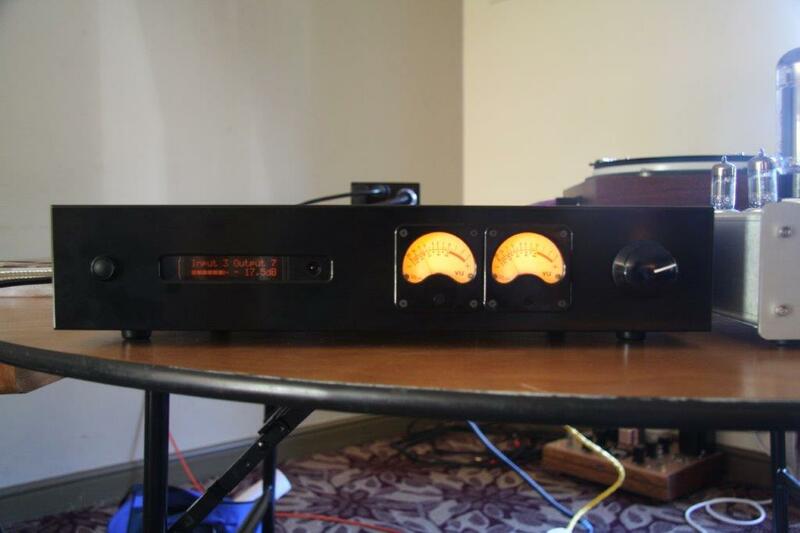 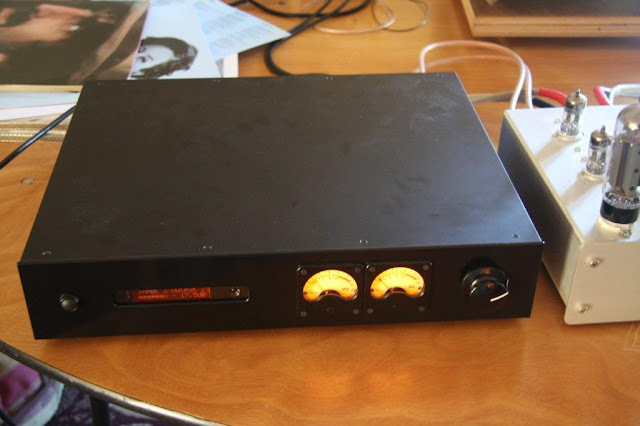 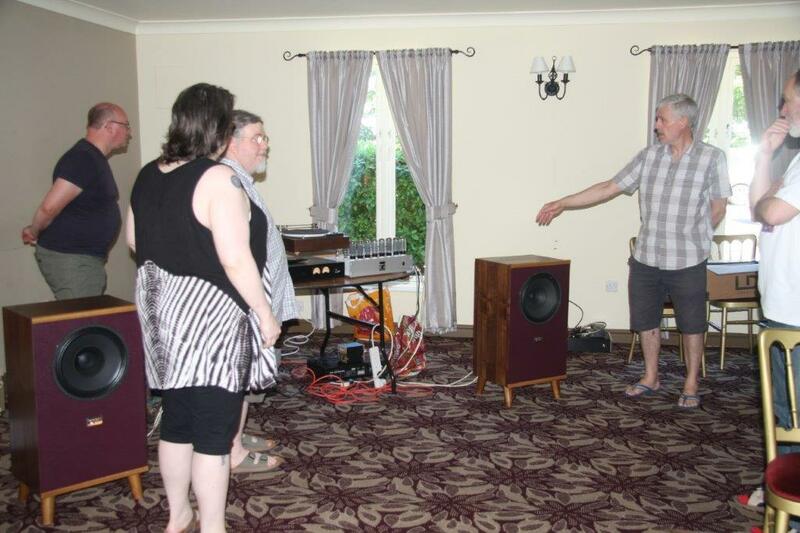 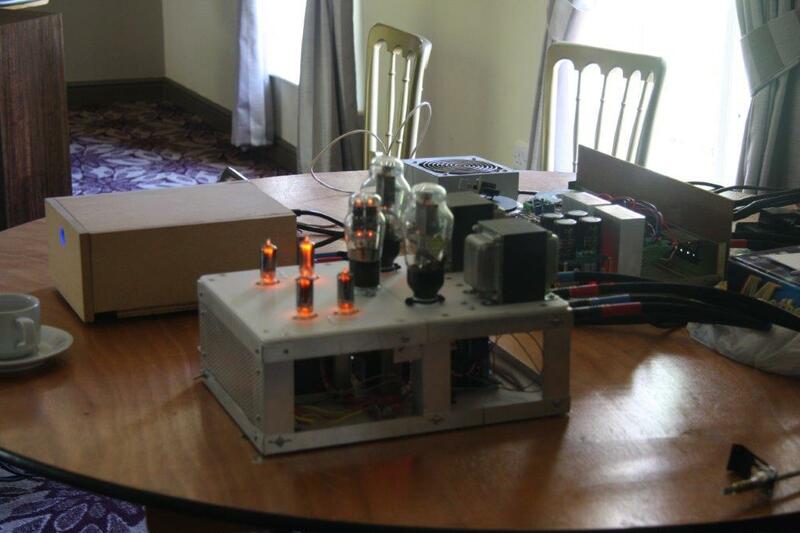 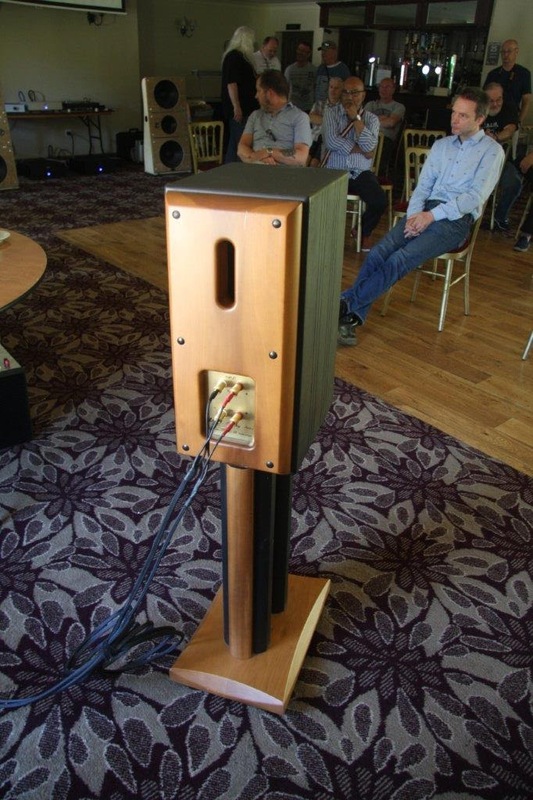 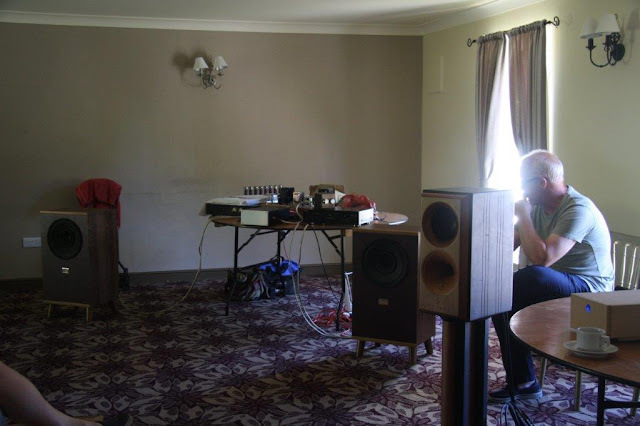 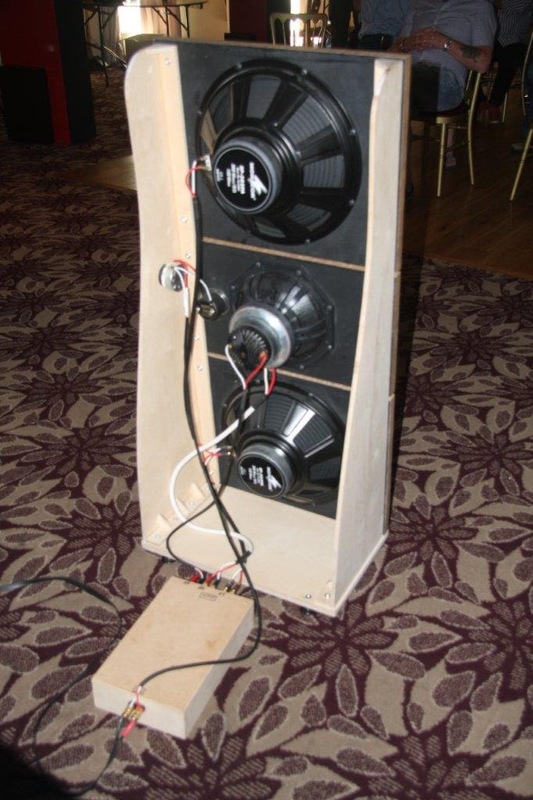 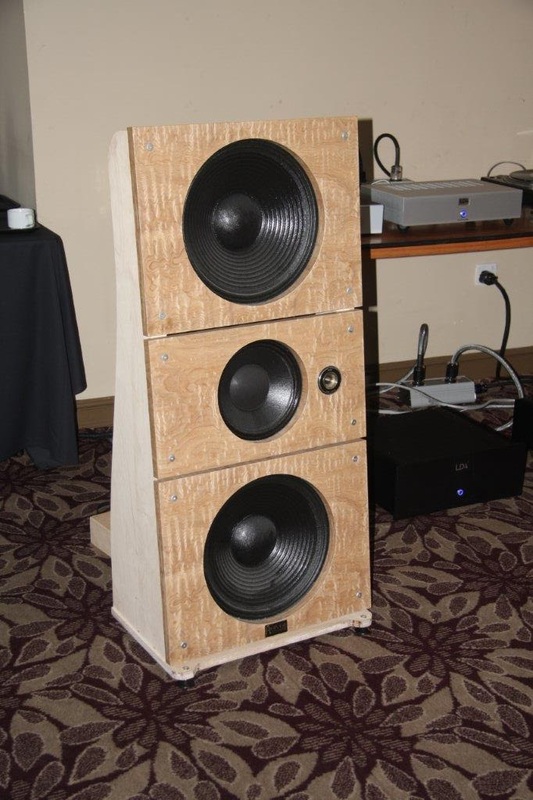 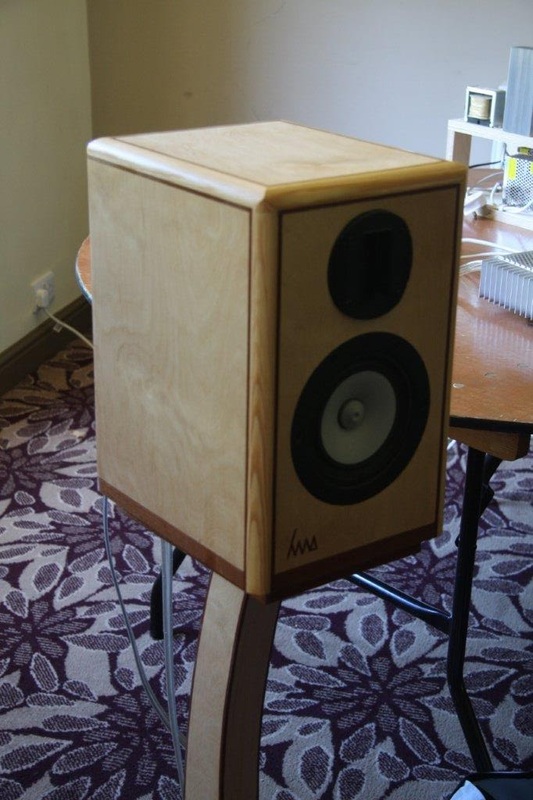 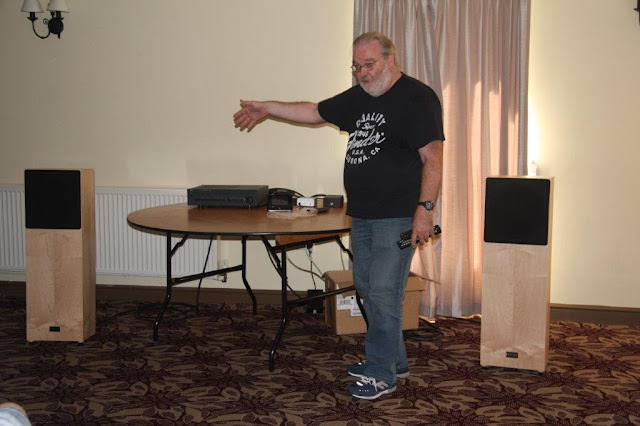 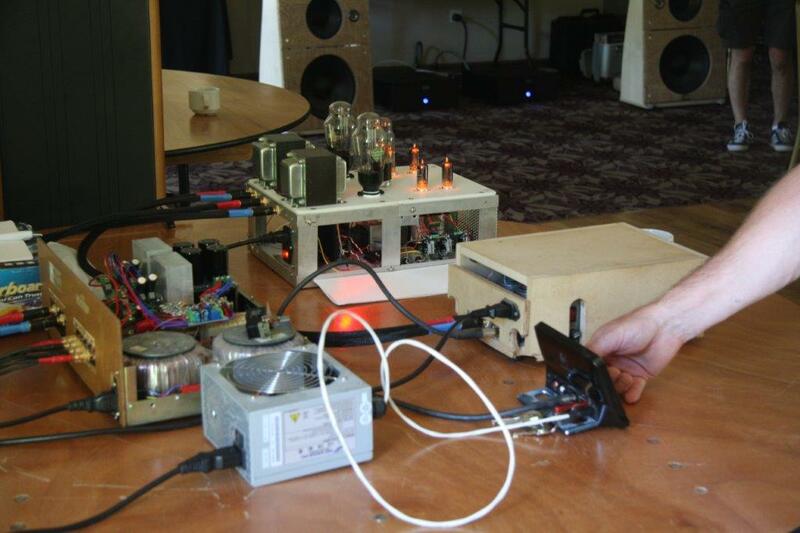 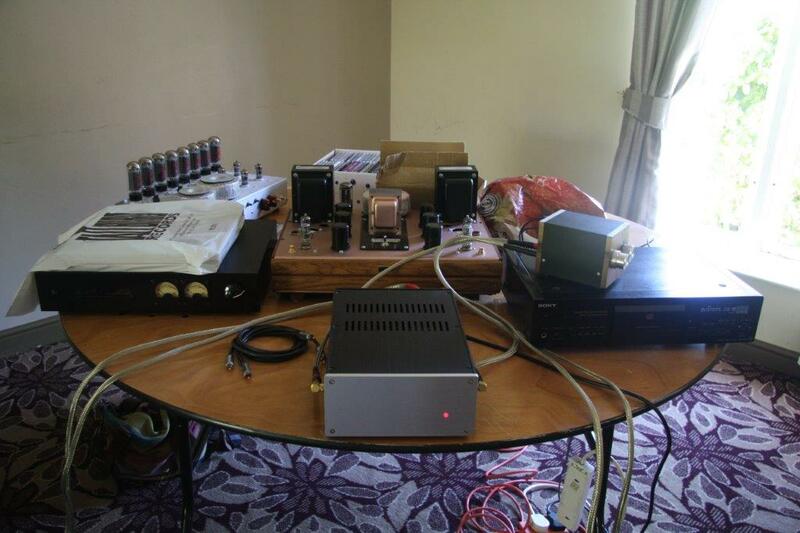 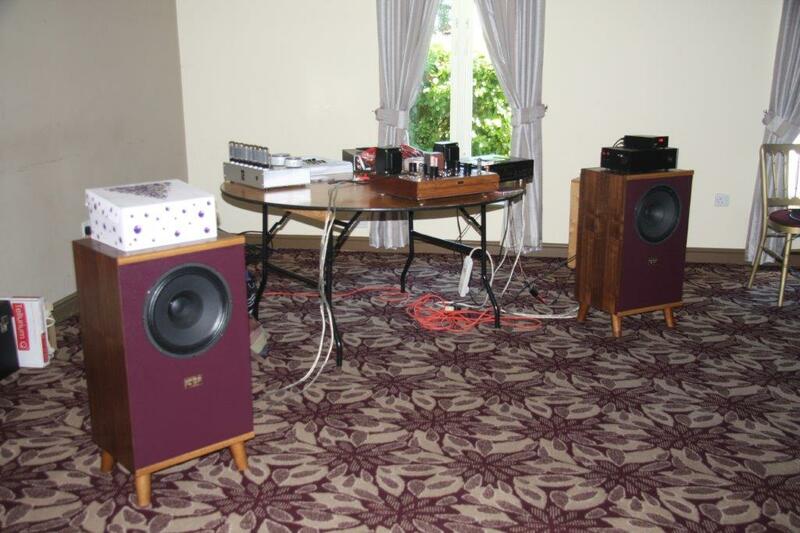 Steve was using a CD player through one of Ant's passive pres, DIY NVA amp and triple cone 12" Fane speakers. 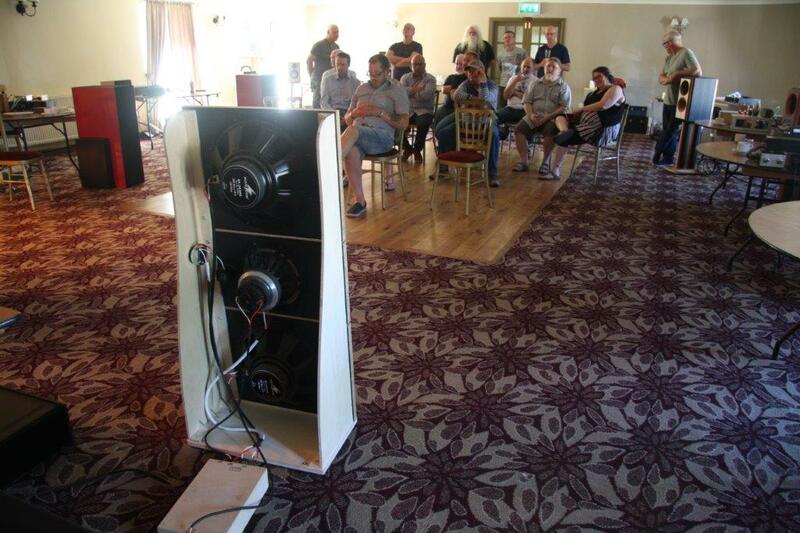 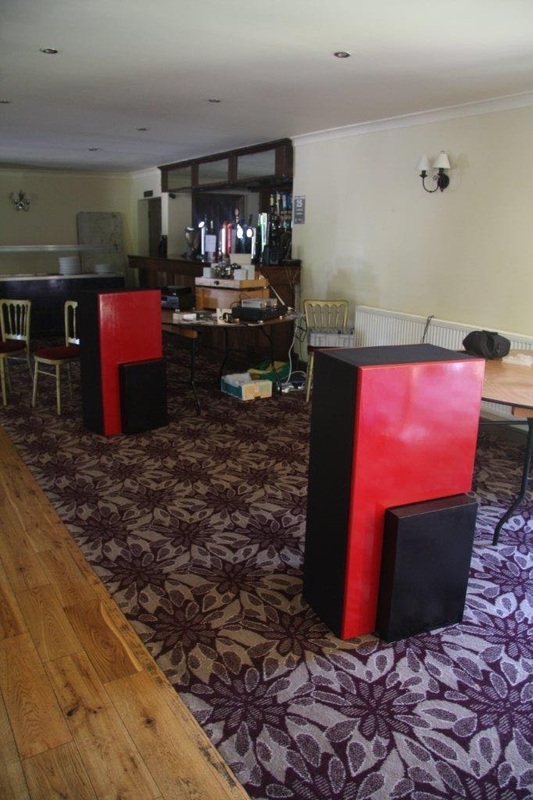 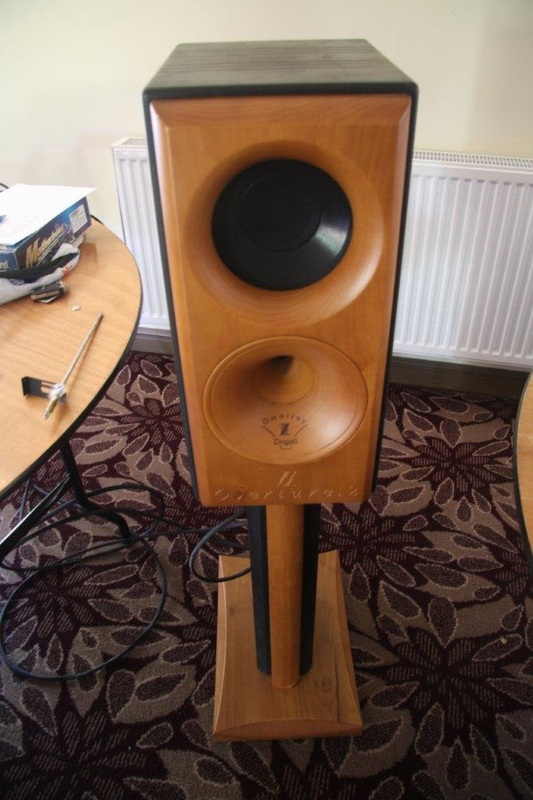 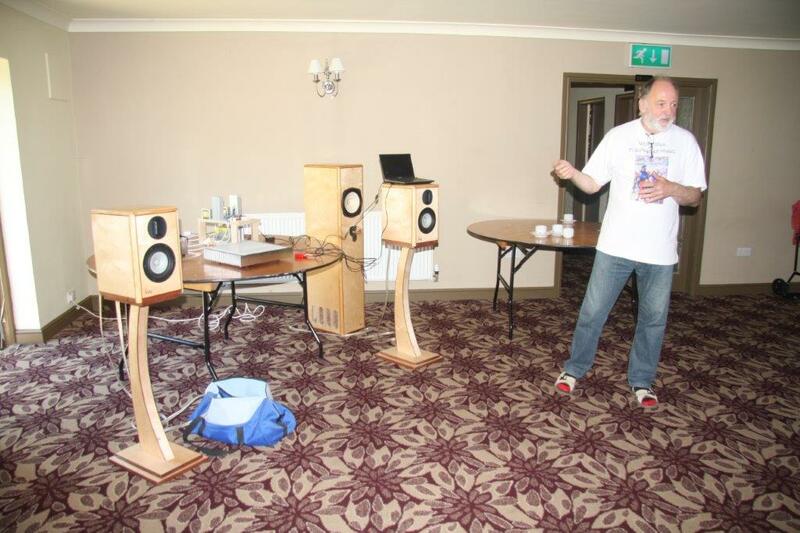 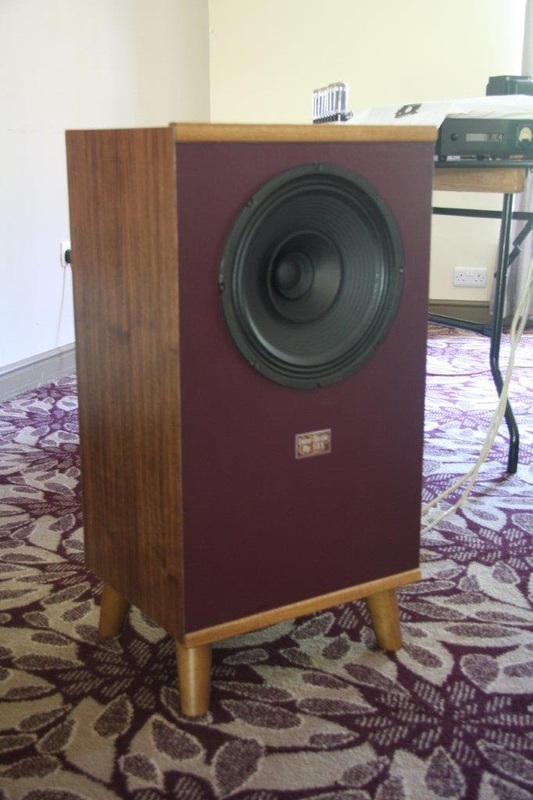 Steve's had some fun and games with some of his speakers in this sometimes killer of a room but these Fanes went down very well. 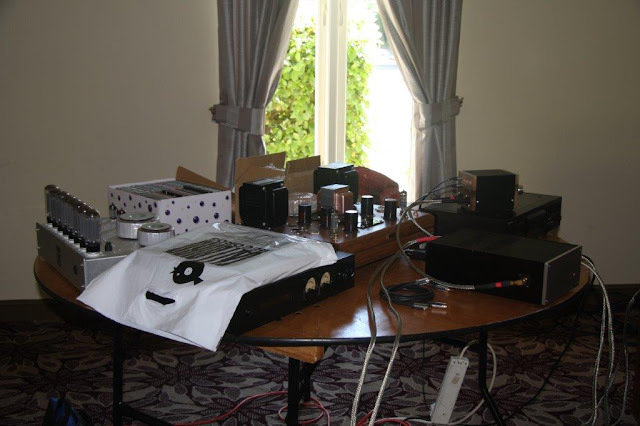 Waiting in the wings on the table was more gear that would make an appearance later. 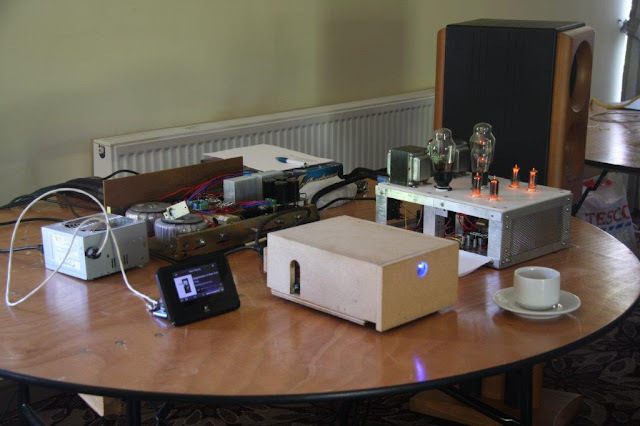 Next was Mike who was using a Squeezebox Touch, a DIY DAC, MP41 pre, LM3886 amp made with Chinese boards, and Zingali speakers. 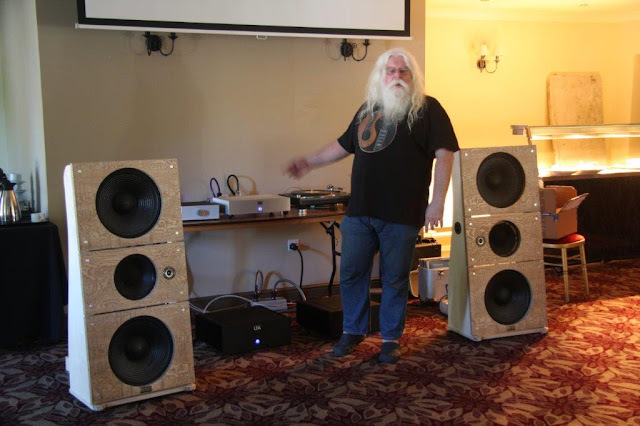 The sound was a little strident and there was some discussion about whether the room boom was rearing it's head, and if the Chinese LM3886 amps might not be helping. And next was Steve S. Usual DVD player with TeraDak, MP41-type driving PX25 amp with Tribute ITs and OPTs, and open baffles with four drive units. 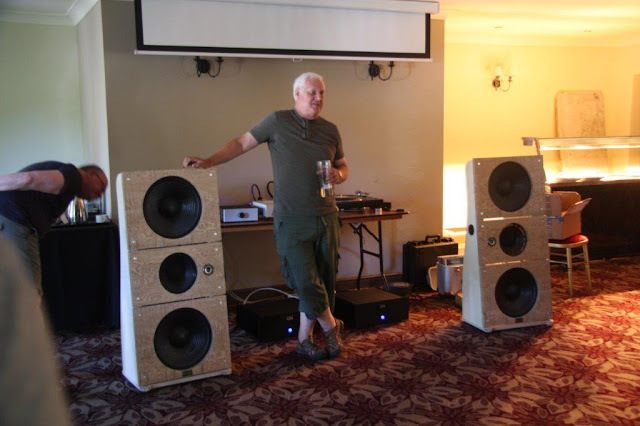 Sneaking in before lunch was Ed with his Alpair 10P studio monitors without the tweeter connected. 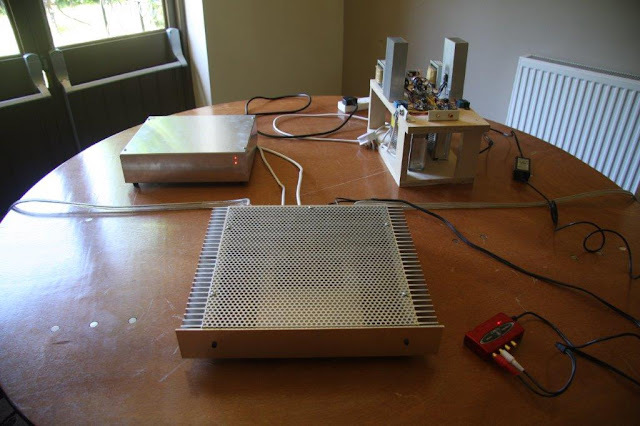 The amp was a 5W PP lateral FET job so volume was necessarily low. The Nick introduced the rest of the system - a Technics 1210 turntable with a SME 309 arm I think, Benz SL cartridge, a new JFET phono amp with ECC88s and ECC82 cathode follower, and solid state shunt regs power supply, S&B TVC passive pre, P6 monoblocks, and "incredibly expensive" mains cables. 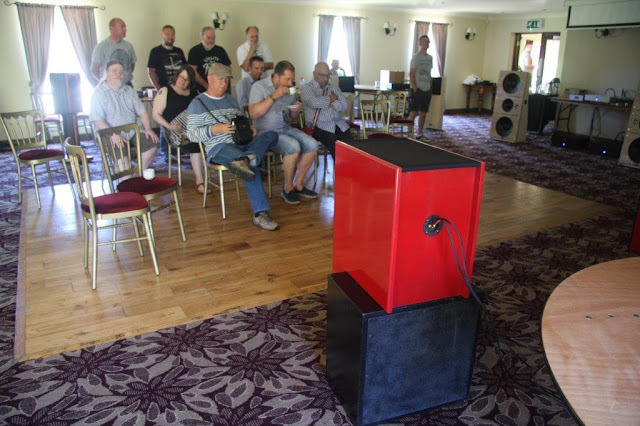 A short interlude whilst Mike tried his Zingali speakers with Ed's Pass F6 clone to see if that might tame some of the issues earlier. 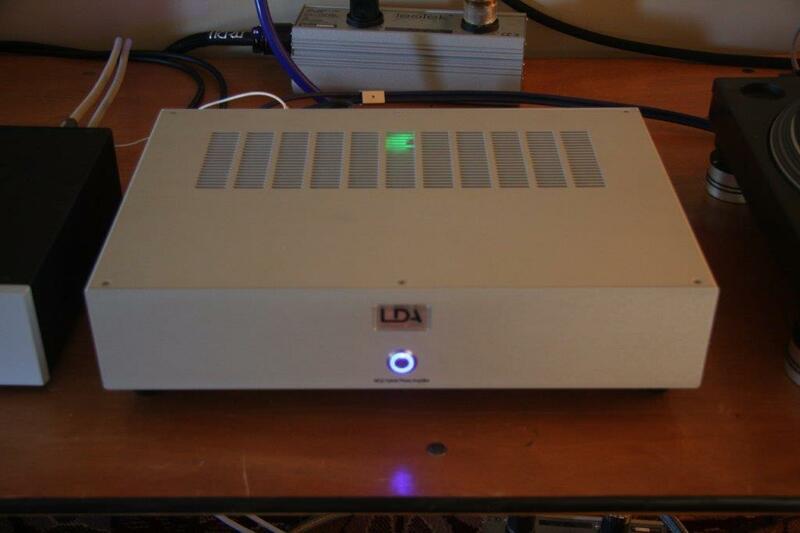 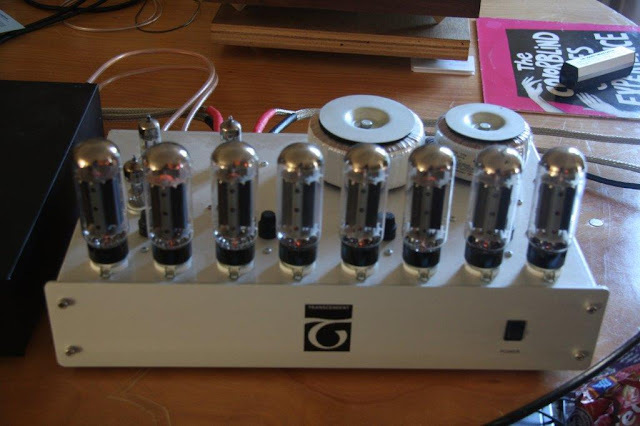 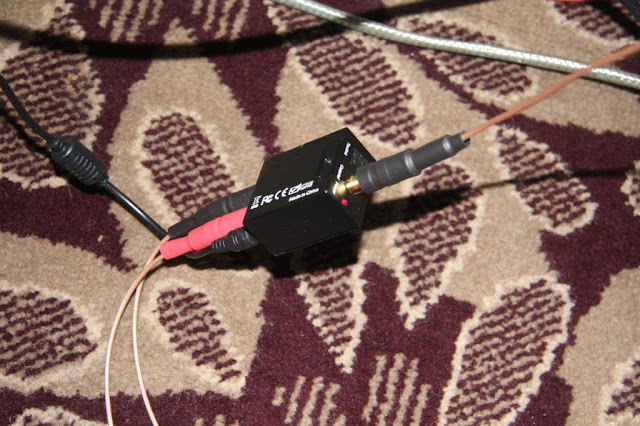 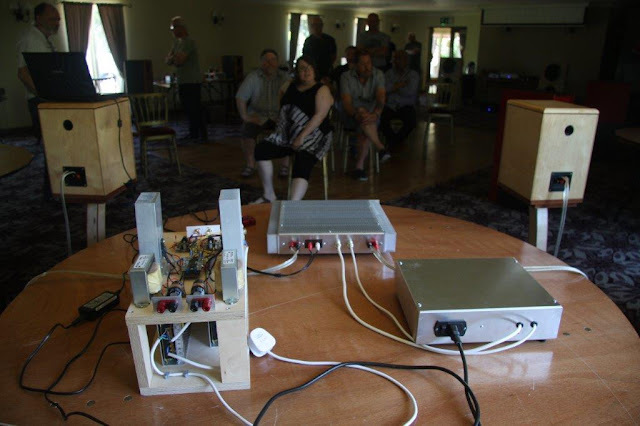 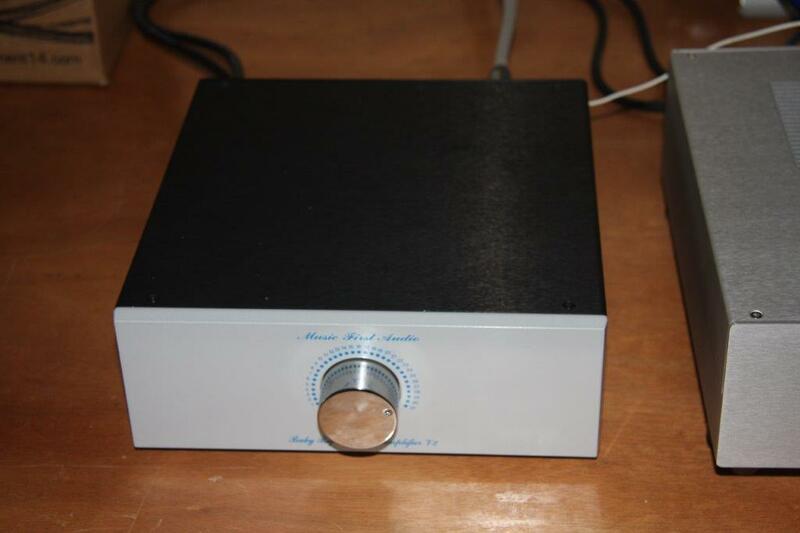 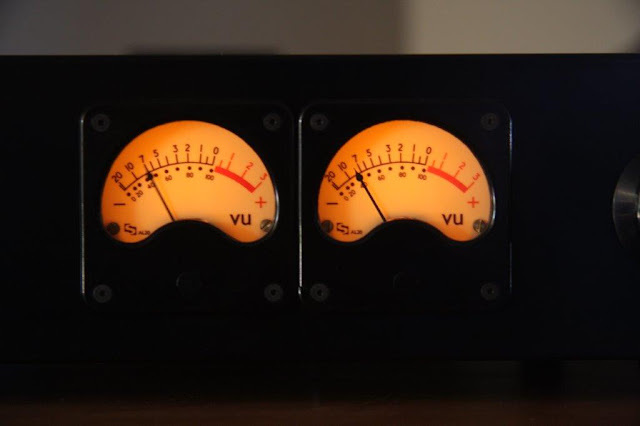 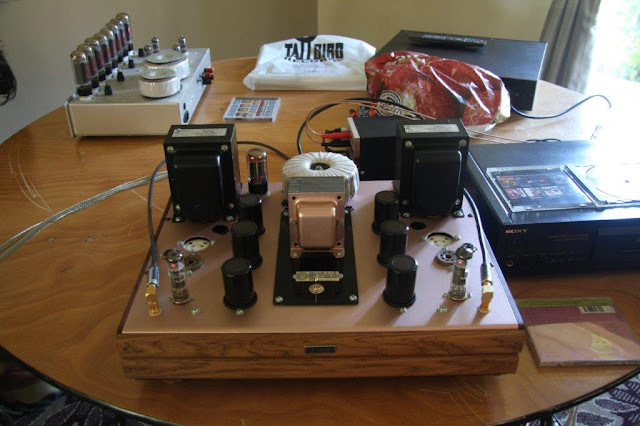 Chris was next with his Colin-built MLTLs with the same Monacor coaxial driver used in Colin's OBs. 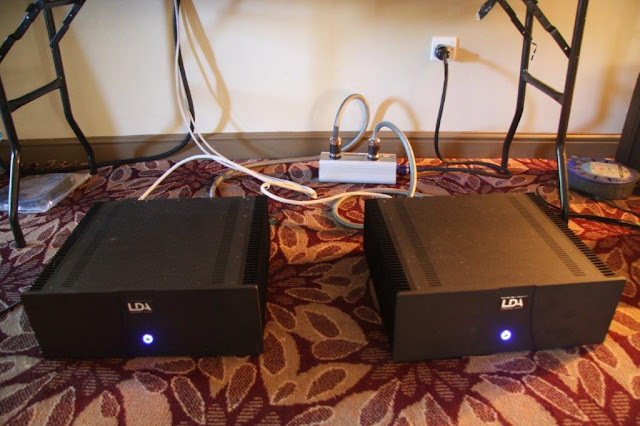 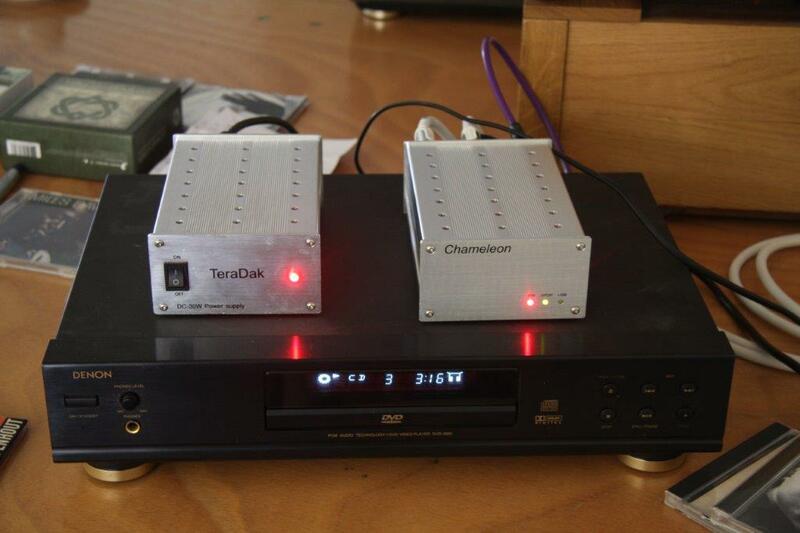 Used with a Squeezebox Touch, M2TECH DAC and NAD amp. 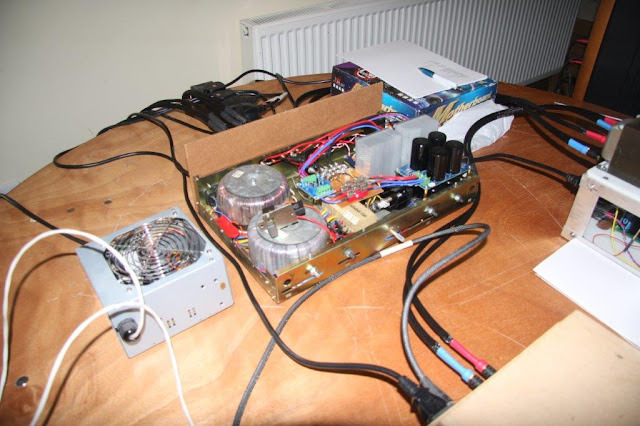 And then it was time for the other bits on the table Steve was using. 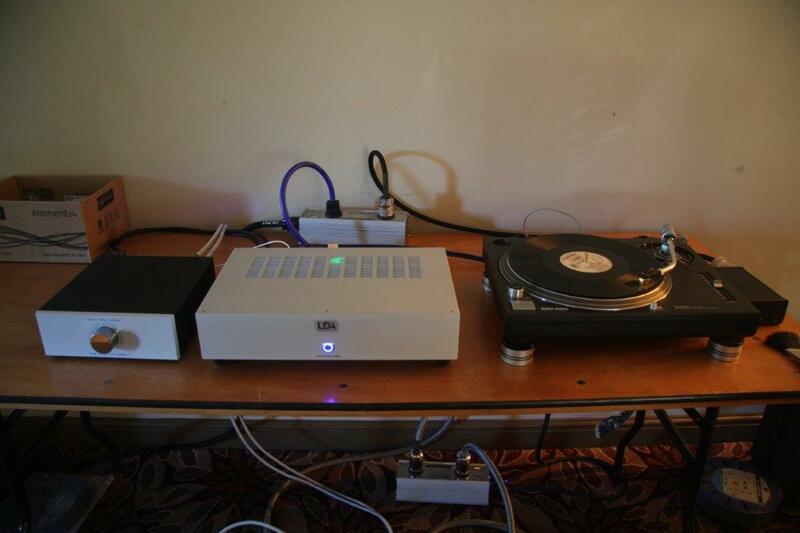 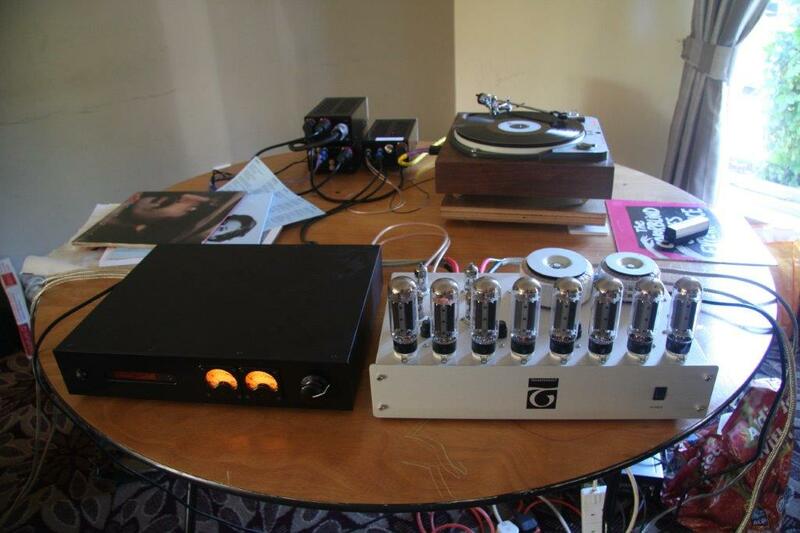 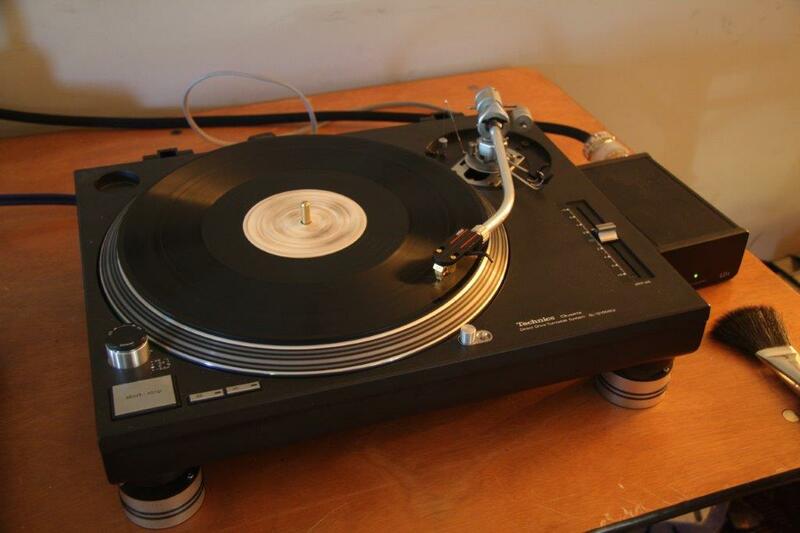 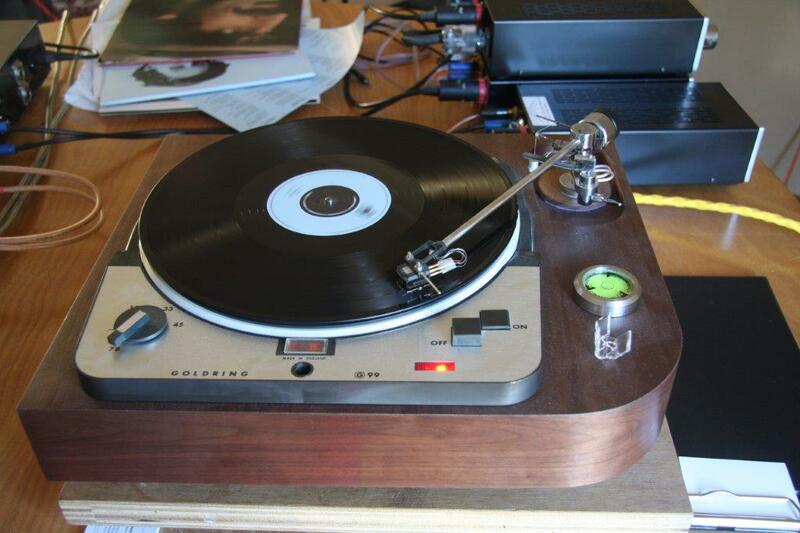 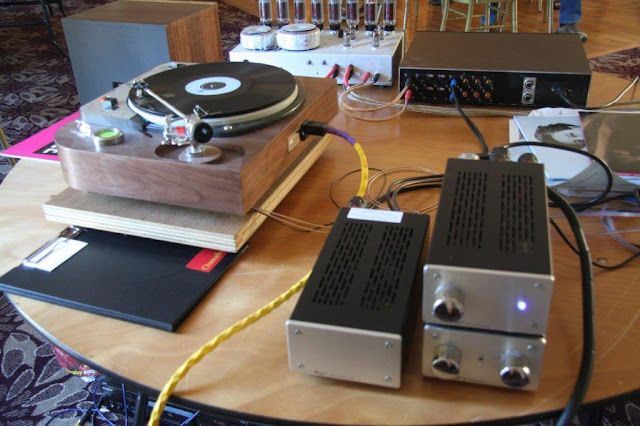 Starting with Neal introducing his Goldring G99 turntable and heavily modded PHONO II.